The Netherlands, also known as Holland, is a small, densely populated country that borders the North Sea, Germany and Belgium. Netherlands means “lower countries” and is called this because of the low, flat geography of the area. Over 80% of the population is ethnically Dutch. Dutch men are among the tallest in the world (did-natural-selection-make-dutch- tallest-people-planet). The Netherlands population data represent DNA samples from 231 randomly selected individuals from the Netherlands. Samples were provided by the database release sorted by marker and country of the European Network of Forensic Institutes. 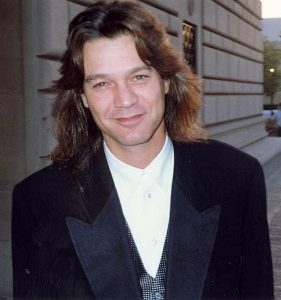 Photo: Eddie Van Halen, a hard rock guitarist was born in Nijmegen, Netherlands. Photo is by Alan Light, via Wikimedia Commons.